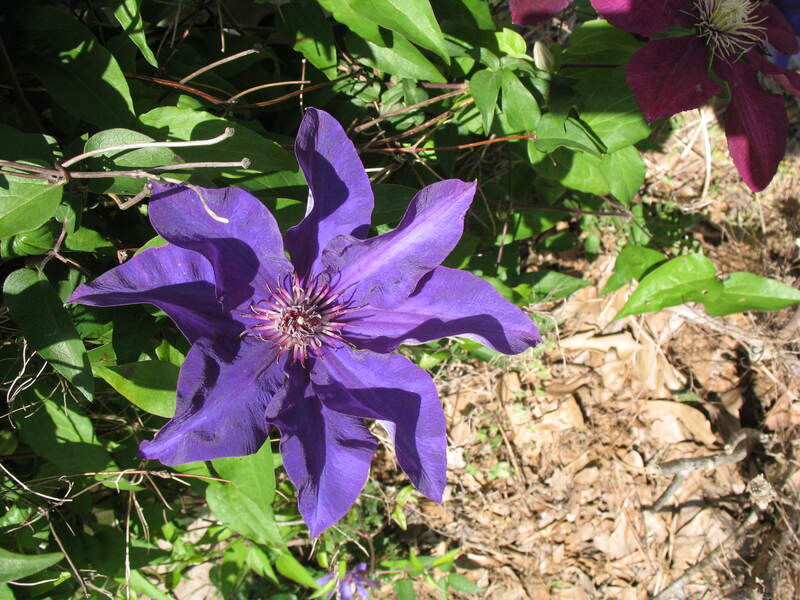 Comments: This clematis produces large purple-blue, slightly cupped flowers with pinkish filaments in the center of each flower. The main bloom is early spring, but occasional blooms can also occur into the early summer. Provide morning sunlight and a fertile, moist, well drained soil. Growth is easily controlled on this clematis. It makes a handomse vine for garden structures.